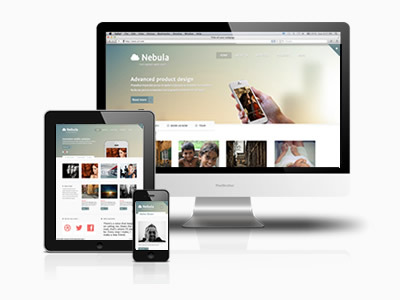 Nebula is a creative business focussed Joomla template, that provides rich and elegant styling combined with a ton of white space, to deliver the elegant minimalism that you have come to know and love from our templates. Just like all of our templates since October 2011, it's responsive which means it will fit perfectly in the browser regardless of your device's screensize. We added some lovely css3 animated transitions to our Zentools slideshow for this theme. So when the slideshow loads the text, images and other elements of the slideshow enter the page with a slide, bounce and the classic fade. 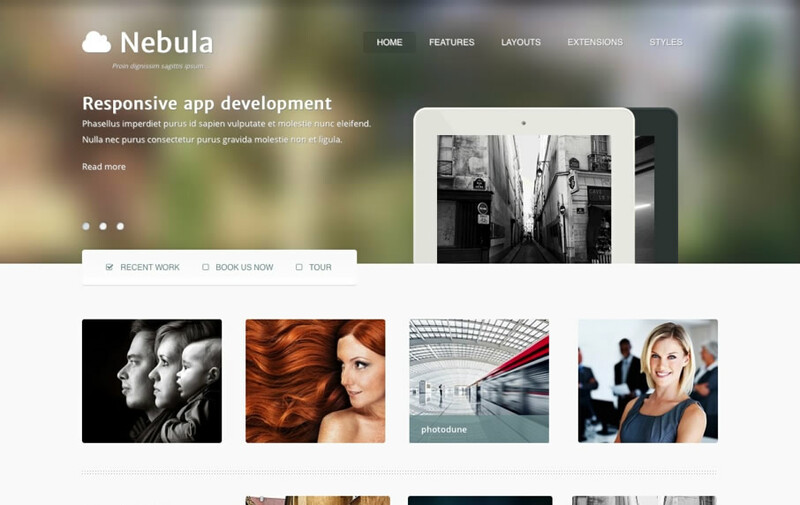 Nebula is the ideal theme to showcase your app or product. It features a beautiful large slideshow with background image that is ideal for placing a screenshot of your app and slogan to go with it. to display across multiple screen types and screen sizes. It is a single template optimised for mobile, tablet, desktop and wide screens. The t3 framework is a light weight and feature rich plugin that provides much of the functionality that you can see on thie Joomla templates demo site. It's a solid basis for creating feature rich and flexible Joomla websites.